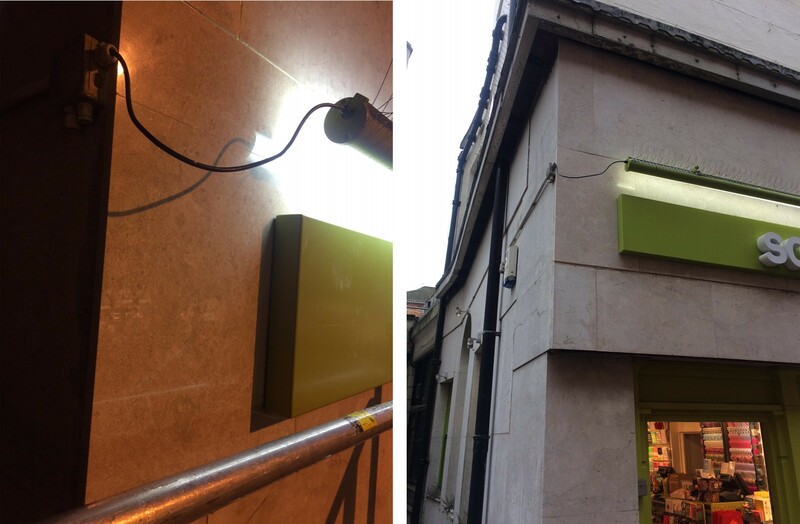 A client shop sign had been hit by a wagon going down the pedestrianised area in Bournemouth. 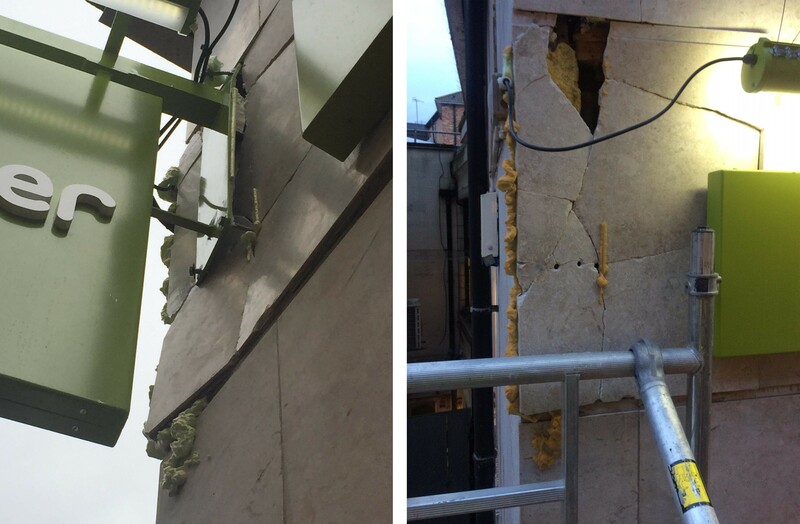 Our clients shop sign was hit by a wagon going down the pedestrianised area in Bournemouth, damaging the marble facade. The client gave us the spec of the tile which was Oman White Marble. After searching a number of marble companies we located the material in London from where the marble tile was collected before heading to Bournemouth to carry the works out after 18:00hrs when the shop closed. The damaged marble tile was then removed and replaced.